Interview with Adam Savage of Brain Candy Live! 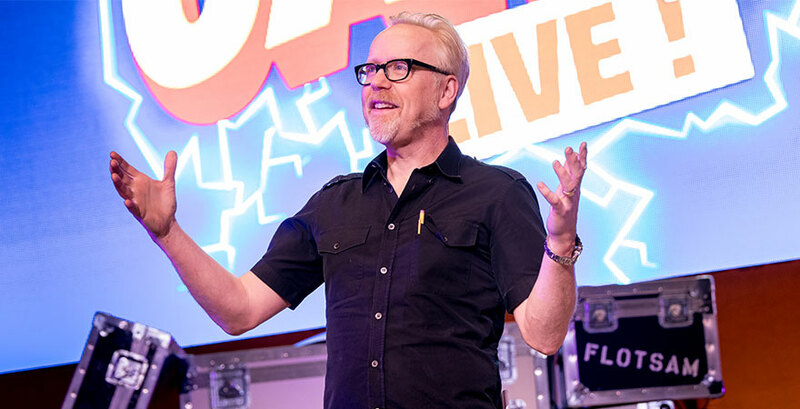 Adam Savage, former co-host of MythBusters and one of television's most loved personalities, has joined forces with Michael Stevens, one of YouTube's biggest stars, for Brain Candy Live on November 15 at The State. They’re bringing along more than three tons of their crazy toys, incredible tools, and mind-blowing demonstrations for a celebration of curiosity that’s an interactive, hands-on, minds-on theatrical experience like no other. He chats with us about how everyone is really a kid at heart and how the duo love the spontaneous and yet calculated fun they have on stages all across America.